Kathryn Handy is passionate about learning – for both children and adults. 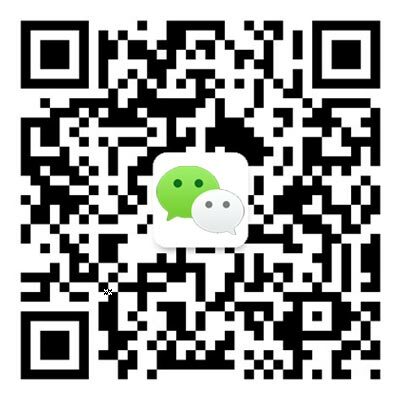 The International School of Beijing's (ISB) first full-time coach for teachers says, "I've always been really interested in professional growth and see the value of learning from other teachers. At ISB, there's so much capacity for that, with so many knowledgeable colleagues. Coaching allows me to learn from other teachers, as well as to have a real impact on their practice and support them to better support their students." A coach in education is an expert in their field and the science of learning who works with teachers of that subject to consider new approaches and make lessons as effective as they possibly can be for students. 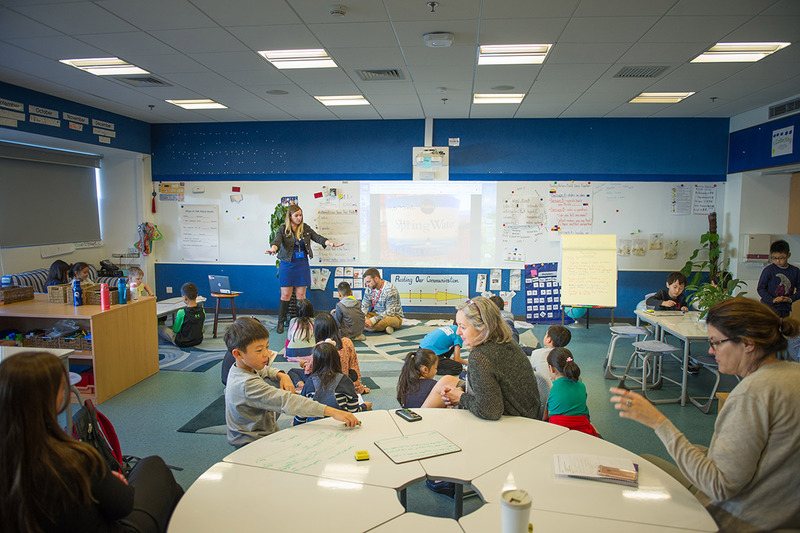 The brief can vary from partnering with a teacher one on one to leading "lesson labs," where a group of teachers plans a lesson together, observes it taking place and then gathers for a debriefing to discuss what worked well. Ms. Handy, formerly a fifth-grade teacher at ISB, was appointed Elementary School (ES) Instructional Coach to help further strengthen math and English-language tuition in the ES from the start of the 2018-2019 academic year. Her work complements the robust program of visiting coaches and experts bringing the latest research on education to bear in ISB classrooms. ISB teachers also undertake professional development (PD) through attending conferences or off-site courses. Ms. Handy was a natural fit for the new role. "Becoming an instructional coach was really a career goal of mine," she explains. She chose a grad school course with a focus on coaching, and her work at ISB prior to this included such relevant experience as leading in-house PD and acting as the curriculum leader for math in the ES. How does her appointment make a difference? "Research shows that if you go to training, even over three or five days, you are probably going to implement 10 percent of what you learned," Ms. Handy says. "Over time, that percentage is going to wane. What an in-house coach offers is follow-through." Meanwhile, this ISB veteran's background and knowledge of how students learn here gives her advantages over any visitor. "A visiting consultant isn't going to have the same understanding of ISB and our culture as I do. A big part of the coaching relationship is also trust. Both sides have to be comfortable making mistakes together; that's hard with someone you don't really know." Ms. Handy in action, modeling a lesson for other teachers. Ms. Handy's coaching generally works in cycles of three to six weeks. She and a teacher will first meet to discuss goals and any challenges they are facing before moving onto planning lessons. Ms. Handy might then observe the teacher, model a new approach for them, or they might co-teach a lesson, before debriefing. This pattern will then be repeated. 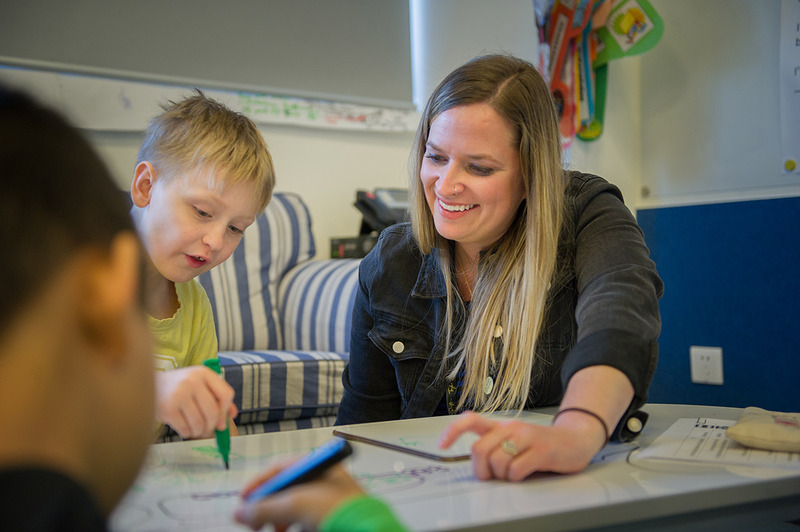 The idea behind sustaining the coaching for so long is that "it cements real instructional changes and gives teachers time to absorb strategies and see if they have an impact," according to Ms. Handy. "The longer it is, the more likely it is to be systemic and become part of what the teacher does naturally." Ensuring the coaching isn't limited to math and English, another new position has been created at ISB covering literacy in the ES. If a teacher wants support or fresh ideas in this area, they will seek out Curriculum and Literacy Coordinator Kendra Daly rather than Ms. Handy. ISB's Parent Education series inviting community members to learn more about the school's programs and the rationale behind them has a focus on coaching this month. Anyone wanting to know more can attend the Teachers as Learners presentation on November 27. They will learn about the school's progressive approach to education and striving to implement the best possible, research-based teaching. "ISB is at a stage where we're ready to look at our practices a little more critically and engage in some tougher conversations," says Ms. Handy. "I hope to have a positive impact on school culture in getting us to really think deeply about how we are supporting students. I will continue to push for an environment where teachers are comfortable trying things, to do even better for our students."